If you have any questions or want to enquire about dates, use our form to contact Ian Noall or see their website for more information. On top of a white cliff, a fabulous lighthouse with rather good views. 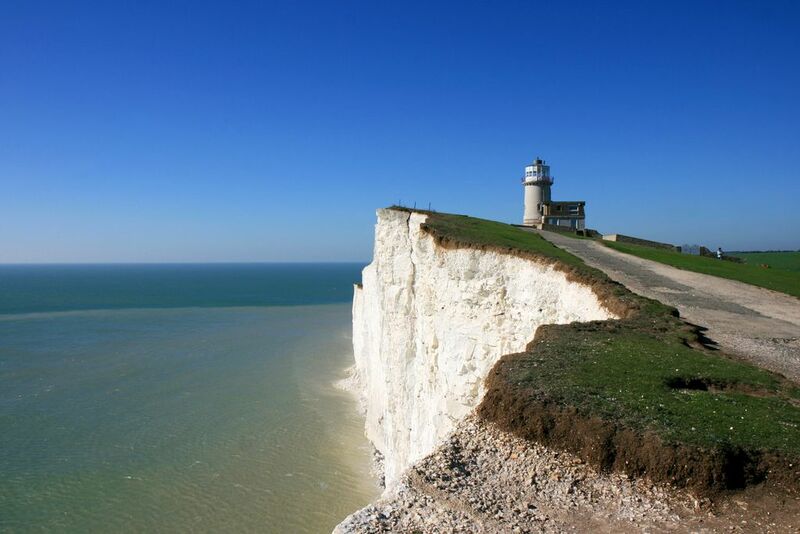 To your left, Beachy Head, to your right, Birling Gap – it’s a magical position with the South Downs rolling into the English Channel. As for the lighthouse, it dates to 1832, was recently moved backwards 57 feet to stop it crumbling into the sea and featured prominently in the BBC’s production of The Life and Loves of a She-Devil. It re-opened in 2010 after a splendid renovation as a lovely little B&B hotel. Bedrooms are rather wonderful: not huge, but most with double-aspect windows that bring the outside in. You find white walls to soak up the light, fantastic views of rolling hills, pretty fabrics, lovely linen, the odd exposed brick wall; shower rooms are small but sweet, and one room has a bath. Ian’s legendary breakfasts are served on high with views of sea and cliff. There’s a fabulous sitting room up here, too, where guests gather each night before climbing up to explore the lantern room. You’ll eat well in the village pub, magnificent walking waits. Minimum stay: 2 nights. Over 15s welcome. This was a treat beyond belief for a pair of Australian farmers. Our room was fantastic and breakfasts absolutely delicious. Such a treat. Thank you Ian. We received a warm welcome & got invited to a welcome drink in the Lounge. The rooms were beautiful so was the breakfast & the living room which had a fireplace which guests are allowed to use. The view from the top of the Lighthouse which was redone as a lounge had stunning views as you can imagine. Breakfast or the Special of the day is cooked to order and the presentation & the flavour where brilliant. Help yourself to the little buffet which consists of different fruit juices, a mix of cereals, dried fruit, fresh fruit salad, muesli bars, muffins, croissants,etc. Very romantic stay.